How Building an Online Store Costs Money when WordPress and WooCommerce are Free Tools? 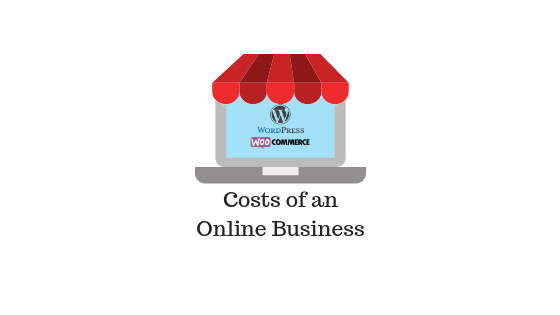 You might be wondering how creating an online store still costs money even when tools like WordPress and WooCommerce are free. That is because there are several other aspects in the process of building and maintaining a website that still costs money. WordPress is a self hosted content management system that helps you create a website pretty fast and easy. However, self hosted means the site owner will have to get a hosting plan as well as register a domain name for the site. There are several aspects like this for an online store that would cost money. Through this article, let’s take a look at some of the aspects of an online store that would still cost you money. If you are totally new to WordPress and WooCommerce, here are three articles that will help you get your basics right. How to Create an Online Store from Scratch? Resources to help you with WordPress. What costs money while building a store using WordPress and WooCommerce? 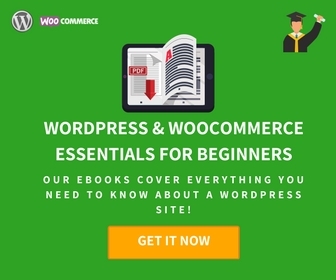 There are several aspects that would cost money while you are building an online store using WordPress and WooCommerce. Let’s see some of the essential aspects where you need to invest money while building a WooCommerce store. Now, let’s analyze each of these aspects in more detail. How to get a good hosting plan? Getting a good hosting plan is especially important for the success of your online store. Your hosting plan should be able to provide continuous uptime and superior performance to your site. It should also be secure, scalable and cost effective while offering good customer support. When you are starting out, a shared hosting plan might be a good option as it is the most inexpensive option (sometimes at prices less than $10/month). However, it is not the best option to go when your store is in the growing mode. Due to the nature of sharing resources, a shared hosting plan can slow down your site or cause down times when the load is more. A reasonable choice you can opt for would be Managed WordPress Hosting options offered by several popular hosting services (on average costs start around $20-30). Managed WordPress Hosting plans often include a lot of features that are specifically helpful for WordPress websites. Depending on the size and scope of your business, you can choose an appropriate hosting plan. Understand the Importance of Hosting for your WooCommerce Store? Best Hosting Solutions for a WooCommerce Store. More about Managed WordPress Hosting by Kinsta. A domain name is another part of website building that is gonna cost you money. You have to register a particular domain name with a domain registrar for a period of time so that you can use it for your website. You will be able to find registration periods from one year to ten years. Depending on your business strategies, you have to decide a suitable term for your domain registration. After the term ends you can renew the registration to continue using the domain. The domain name is how your users are going to identify your business. So you have to choose a domain name considering the nature of your business. Experts advise to choose a domain name that is short, easy to spell and remember. Try to include words related to your business or products so that users are easily able to identify the domain. As a vast majority of domain names have ‘.com’ extension, it is recommended to choose the same for your site as well. There are several popular domain registrars when you look out to find one. Please note, you don’t necessarily need to have a business to register a hosting plan. Most budding business owners would secure a domain name at the conceptual stages of their business itself. This is relevant as online business scene is highly competitive and chances are high there is someone who is conceiving the exact same business model somewhere else. GoDaddy is the largest ICANN-accredited registrar in the internet. Registering a new .com domain on GoDaddy will cost you around $14. Please remember, when you register for a shared hosting plan of BlueHost, you will get a domain name free of cost. An SSL certificate ensures that the communication between your web server and a browser is encrypted. This is extremely important when you are accepting payments on your website. For an eCommerce store owner this is sort of a mandatory requirement, even though technically you can manage by redirecting to payment gateway site for payment.If you are using certain payment options like Stripe, an SSL certificate is a requirement for integration. Getting an SSL certificate will validate your ownership of the domain as well. You can get an SSL certificate from one of the third party certification authorities at a cost. A Comodo SSL certificate would cost you $99 for an year. If your hosting service supports it, you can actually get a free SSL certificate through Let’s Encrypt. Let’s Encrypt offers a free, open source strategy to get an SSL certificate for your site. You can read more about SSL certificates and the ways to get it for your site here. The theme that you choose for your WordPress site determines how the site will look and function. When it comes to a WooCommerce store, you need to be more selective as you have to ensure the theme is compatible to all shopping features. When you are starting out with a WooCommerce store, Storefront would be your safest bet for a reliable theme. This is because it offers seamless integration with WooCommerce and the varied functionalities of the platform. To customize your site further, according to the nature of your business, you can find several interesting child themes of Storefront as well. When you are selecting a theme for your WooCommerce store, you need to make sure that the design is complementing your products well. More importantly, it should ensure that all the eCommerce functionalities of your store are intact. WordPress theme directory offers a large number of free themes suitable for WooCommerce. Based on your specific requirement, you can also opt for a premium theme as well. Tips to find a suitable theme for WooCommerce. How to create a Storefront child theme? One of the signature traits of WordPress and WooCommerce is the ability to extend the default features. WordPress and WooCommerce, being open source, provide a lot of opportunities for developers to customize the features by modifying the source code. This aspect has also opened up a lot of scope for businesses that thrive on developing extensions for the platform. 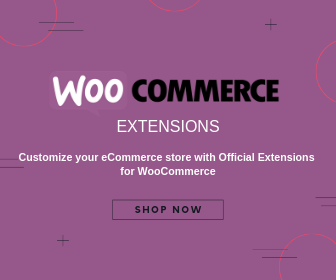 As a store owner, it is a great advantage that WooCommerce offers. The platform out of the box is quite lean with only the basic essentials of eCommerce integrated to it. Based on the requirements of your business, you can add the necessary features through extension plugins. As we mentioned many times before, you can find a lot of plugins available in the WordPress plugin repository as well as from third party sellers. The cost that you incur from feature extensions is largely subjective. 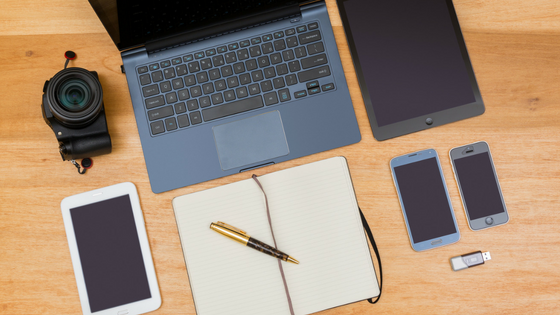 Considering your store strategy and budget constraints, you can take a call to get a free or premium plugin. The pricing of a plugin is also totally a matter of where you are getting it from and what functionality it is offering. 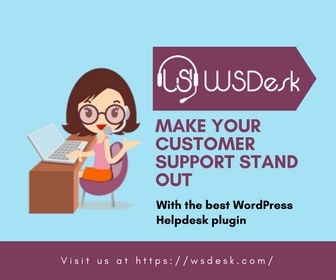 Though plugins are widely available in the WordPress ecosystem, it is important that you get it only from trusted sources. How to install and set up a WordPress plugin? Alternatives to WordPress repository for free plugins. Trusted places to buy premium WooCommerce plugins. Find some of the most popular plugins for a WooCommerce store. How to ensure the security of your WooCommerce store? Another factor that would cost you money in maintaining a WooCommerce site is security solutions. Internet is a scary place with a range of threats like hackers and malicious software. When you are maintaining a WooCommerce store, you are also responsible for your customers’ data. So it is highly recommended that you invest in some dependable security solutions to ensure the safety of your store. The additional security measures that you take on your website will cost you money, if you are choosing premium options. However, at the basic level you can find several free plugins that would offer features like activity monitoring, as well as scanning and blocking threats. You can checkout free options like Wordfence, Sucuri, etc., or premium options like Jetpack. Checkout some of our articles that will help you understand more about the popular security tools and how much they will cost. 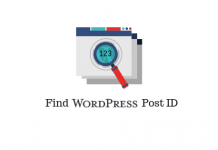 Best WordPress security solutions that make your site safe. Managing automatic backups on your WordPress site. A few essential security tips for your site. WordPress maintenance services from WP Buffs. As we have seen with the above mentioned aspects, the cost of building and maintaining a website using WordPress and WooCommerce varies. Though WordPress and WooCommerce are free tools by default, you need to pay for hosting, domain name and SSL certificate. In a lot of cases you will find free domain name and free SSL certificate bundled with your hosting service as well. In simple terms, you need to get hosting, domain name and SSL on your own to run a WordPress and WooCommerce store. The other scenario that requires financial investment is when you are looking to extend functionalities or enhance design. Here too, there are quite a large number of free options that you can rely on without spending any money. However, as your business grows, you might need premium support services and lesser hassles. So, depending on your store’s growth curve, you can invest in some of the premium extensions and themes. Overall, we can safely say that WordPress and WooCommerce are among the most cost effective and flexible eCommerce platforms. Experts tips to build a successful WooCommerce store.